Posted September 18, 2017 by Caroline Preece & filed under Headlines, News. The Emmy awards have often been criticised for their lack of imagination in recent years, often failing to acknowledge the diversity of television and instead awarding the same talent and the same shows again and again. This year, however, was different. During a politically-charged ceremony, more than one record was broken by female-led series, black talent behind the scenes and more. The result wasn’t too shabby for British talent, with Riz Ahmed becoming the first Asian recipiant of the outstanding actor in a limited series or movie award for his role in The Night Of. John Lithgow received the award for outstanding supporting actor in The Crown, while Charlie Brooker won big for his Black Mirror episode San Junipero, which won for outstanding TV movie and outstanding writing. 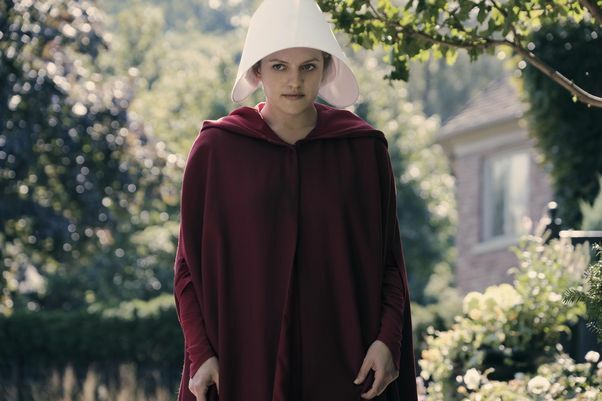 Outstanding drama series went to The Handmaid’s Tale, while Elizabeth Moss, Alexis Bledel and Ann Dowd also collected awards for lead actress, guest actress and supporting actress, respectively. The show also won awards for writing and directing. Big Little Lies also had a fantastic night, winning for outstanding limited series and landing Nicole Kidman and Alexander Skarsgard gongs for outstanding actress and actor in a limited series or movie. Sterling K Brown got a well-deserved nod for his emotional performance in This is Us‘ first season, while Donald Glover won for both lead actor and outstanding directing for Atlanta. Master of None was honoured for it’s Thanksgiving episode, winning Aziz Ansari and Lena Waithe awards for outstanding writing for a comedy series. Veep, Last Week Tonight, The Voice and Saturday Night Live also received awards.